Make-Up lessons are a special privilege. As you probably realise, most of your children's other activities do not provide such an opportunity. 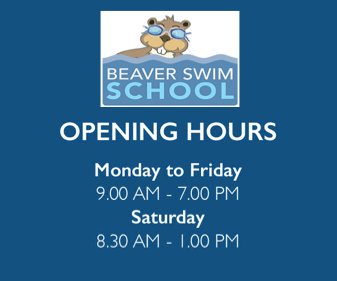 For as long as you remain a financial client at Beaver Swim School, your child will be entitled to do a Make-Up lesson for any lesson that he/she has missed and you had duly cancelled. A Make-Up lesson is in lieu of the lesson your child has missed. There are no restrictions as to how many Make-Up lessons you may accumulate. Make-Up lessons are a customer service we provide, which is aimed to assist your child to maintain continuity in their lessons. Notify the office of your inability to attend a lesson prior to your lesson time, otherwise the lesson will be forfeited. They can be booked a week in advance. Make-up lessons are available only where a vacancy or cancellation exists in another class. Make-up lessons you have booked must be cancelled prior to the commencement of the lesson if you are unable to attend, otherwise the lesson will be forfeited.